This is the only nice part of deadheading in the garden. 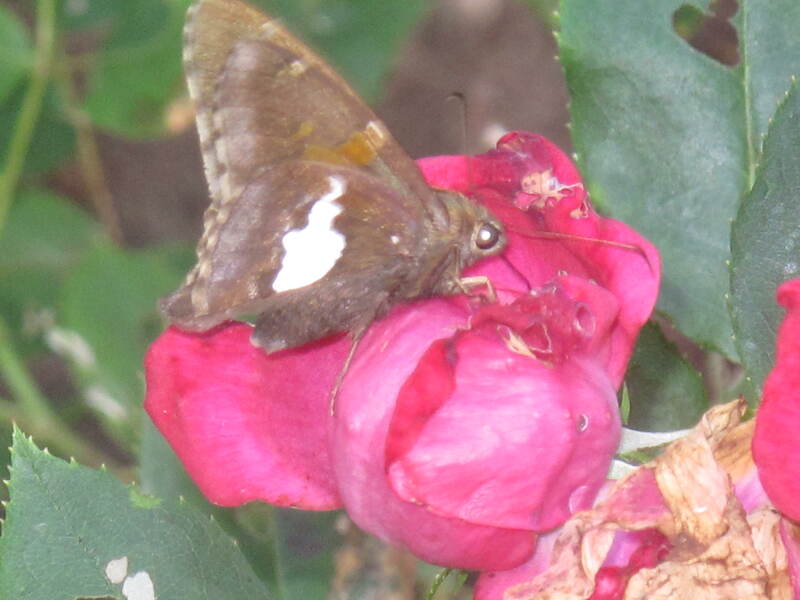 Every once in a while, as you are cruising through the garden and cutting off spent flowers, you see the occasional moth or butterfly trying to hold on to something that was once so plush and gorgeous. It happens every Spring. Your garden flowers come on hard and strong. You get such a magnificent display of color in all the blooms that open. All the beauty makes you proud to be a gardener. Then in a few short days for some flowers and a few short weeks for others, it is over. 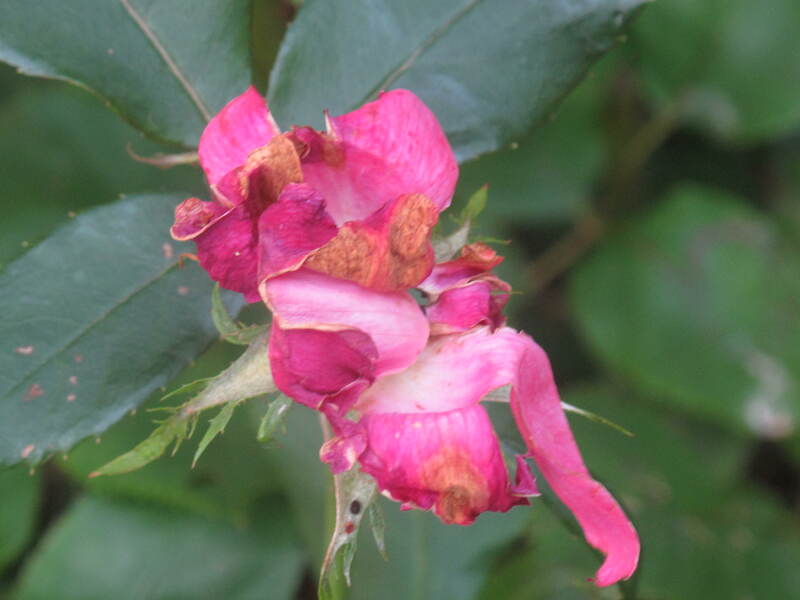 The blooms wilt and die. 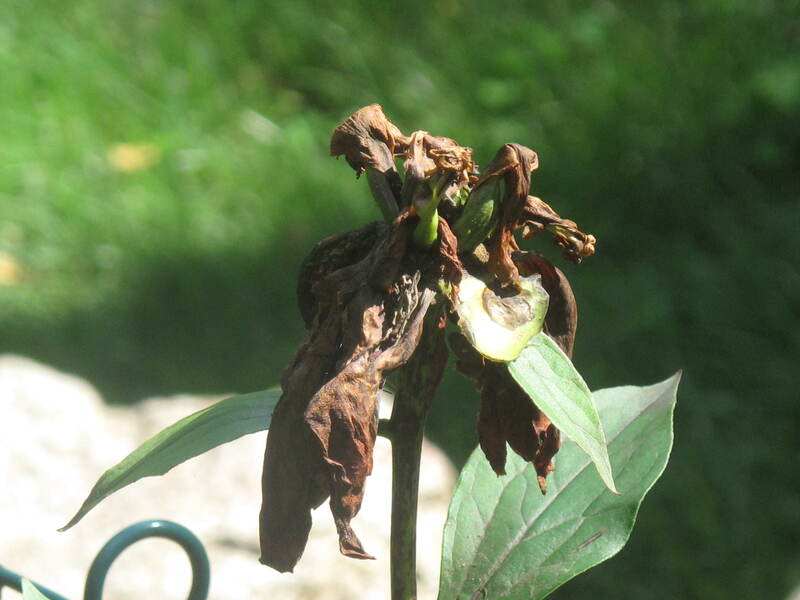 The dead flowers become a grim reminder that Spring is leaving. As a gardener, you then move into the next phase of gardening and what I officially think of as the start of Summer. The dreaded deadheading. This was once a peony. There are a lot of chores that a gardener needs to do during the growing cycle. There is none that I hate more than deadheading flowers. I like the chores that are about encouraging growth. I hate the ones that make me deal with the dead. There is no amount of songs on my iPhone that I can listen to that keep me motivated enough for the task of snip, snip, snipping dead flowers. The dead flowers are everywhere and the chore never seems to end. You can go through your entire garden and end up at your starting point and will still see dead flowers that you’ve either missed or they have died since your last trip through. It’s depressing! So why do I do it? Because dealing with the dead helps bring back life. If left to their own devices, many flowers will bloom heavily for a short period of time, then set seed, thinking they’re done for the season. Deadheading interrupts this cycle. You’re actually fooling the plant, forcing them to send out another flush of blooms to try to complete the reproductive cycle. The blooms in the second or third display may not be as large or as numerous as the first, but they are certainly worth the effort. This is especially true for roses, day lilies and flowering annuals that inhabit a large section of my garden. 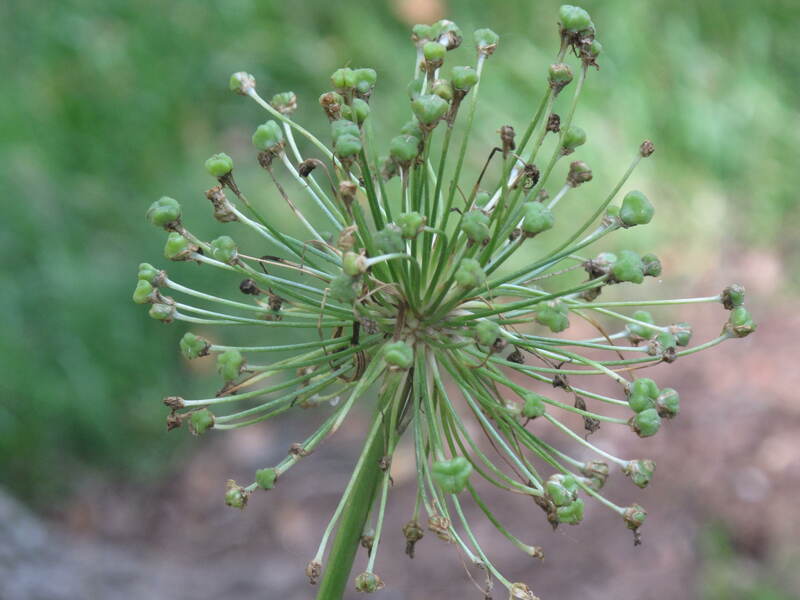 For the bulb population like alliums and tulips, deadheading flower and stem down to the ground helps keep the energy in the bulb versus having the bulb send it to the flower to produce seed. Deadheading these perennials helps to strengthen the bulb for next year’s growth. A rose that has seen better days. So if you ever see me in my garden with a sad or bored look on my face, you will know it is deadheading that is what is bringing me down. Please try to distract me….it won’t take much. I know I’ll be happy when the next round of rose blooms come around, but in that moment, I would give anything to be somewhere else. What garden chores are your least favorite? This entry was posted in The Garden-2011 and tagged Acorns, Beauty, Blog, Gardening, Life, Lifestyle, Love, My Life, Nature, Photos, Spring. Bookmark the permalink. Weeding has to be my least favorite. Your garden continues to amaze me. Hi Rufus’. Deadheading is my least favorite and then weeding. There has got to be a better way. Everything in life has its season. Enjoy the bloom, then most plants leave a nice green bush and next thing they will bloom again. Your flowers are alway beautiful weather in bloom and/or just being a green bush just sit in the right place to enjoy through all its seasons. I’m with you. Thanks for the comment. I just finished a round of deadheading and it couldn’t end fast enough. There has got to be a better way….I guess there is…pay for a gardener. 🙂 Come back and visit soon.